The test crew from HARDTAILNATION have made good use of the rather rough UK weather and put our sintered and kevlar pads to the test. 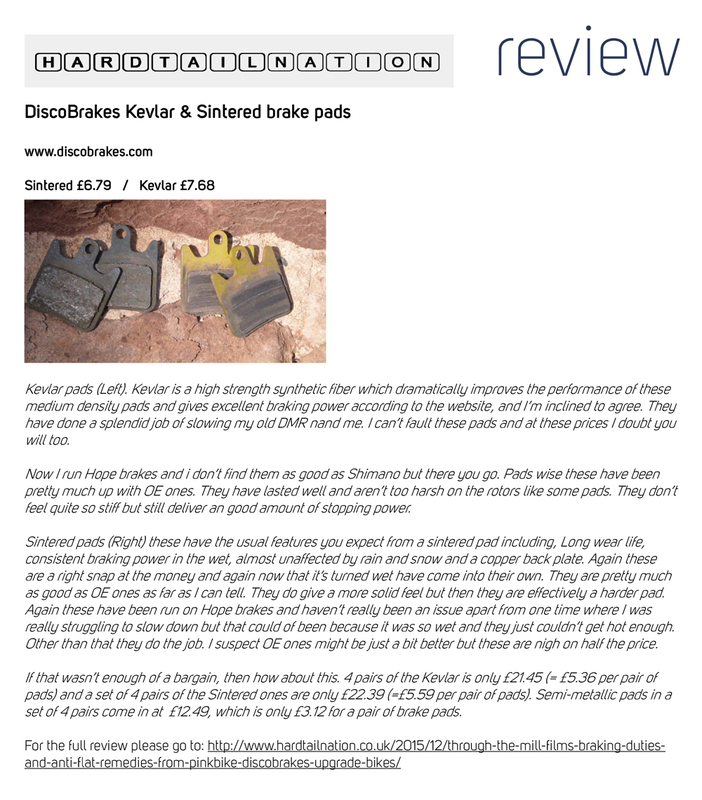 To view our entire disc brake pad range please click here. To read the full review on HARDTAILNATION please click here.